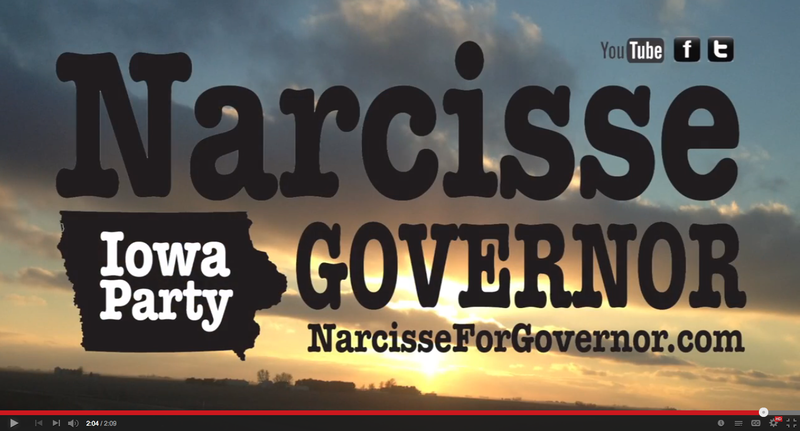 A Narcisse administration will, “restore Iowa to her people,” says the candidate. Iowa’s urban centers have become major poverty zones – more than 57% of the families with children in the “Urban Eight” School Districts: Cedar Rapids, Council Bluffs, Davenport, Des Moines, Dubuque, Iowa City, Sioux City and Waterloo – cannot feed their children without government assistance. In Davenport, Sioux City and Waterloo more than 60% of the families with children in those districts live in poverty and in our state’s capital more than 70% of the families with children in our state’s largest district live in poverty. To put this in perspective, the Des Moines School District has more impoverished students – 21,872 – than the populations of all but 22 of Iowa’s 947 incorporated cities. High poverty isn’t limited to our urban areas, however. Throughout much of rural Iowa the percentage of families living in poverty is equal to or greater than the numbers in our urban centers, for example Columbus (74.3%), Denison (73.4%) and Storm Lake (75.6%). There are other indicators that should give us pause when hearing proclamations of how well Iowa is faring. 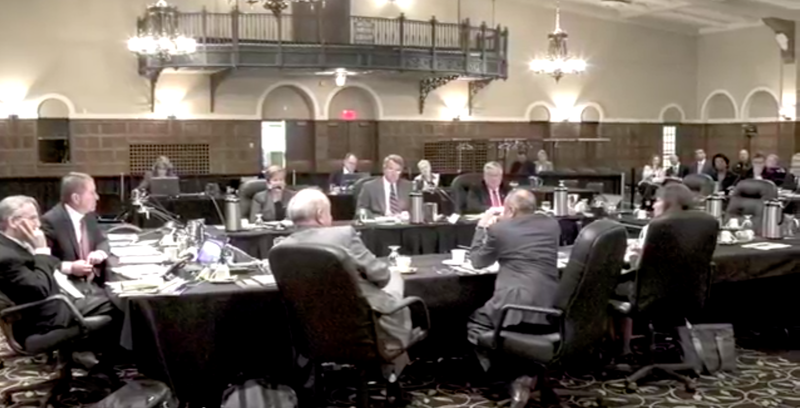 In their December 19, 2011, SFY 2013 Budget Hearing the Iowa Department of Human Services published on page 3 of their report that they served a total of 928,566 clients – more than 30% of Iowa’s 3,046,355 population. On page 74 of the Legislative Service Agency’s 2013 Fiscal Facts 412,710 Iowans are projected to be monthly recipients of Medicaid and 437,849 are projected to be monthly recipiencts of food assistance. 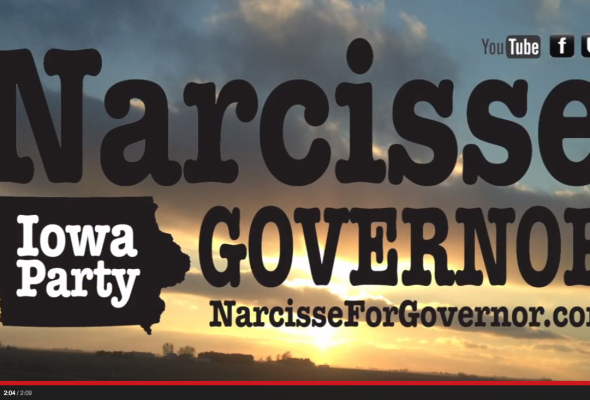 On Monday Iowa Party gubernatorial candidate Jonathan R. Narcisse will layout a plan of action to eliminate poverty in Iowa. “We live in a world where men possess the wealth of nations. It is shameful that children go to bed hungry. 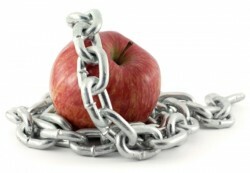 It is even more unacceptable that children in Iowa go to bed hungry. We have the means to end poverty in this state – we must now exert the will to end it,” stated Narcisse. “We learned a great deal in 2010. We learned how not to run a gubernatorial campaign but we also learned we have support in every county in Iowa, in every house district in Iowa, in every senate district in Iowa and in nearly every precinct in Iowa. 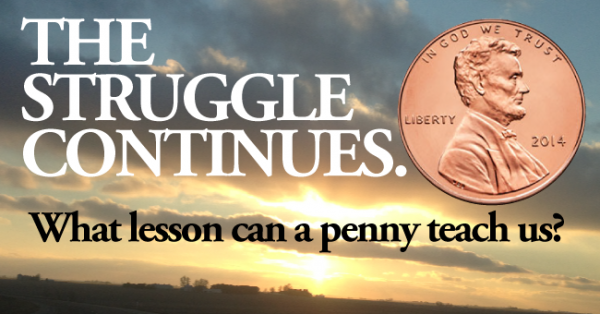 Winning will not be easy but we are competing to win – to End the Branstad Era and Restore Iowa to Her People. “At the same time we are realistic about the uphill battle we face. So there are other key objectives we will accomplish with this campaign. We expect to secure the votes necessary to create an official Iowa Party – a unique hybrid that will operate without and within our two party system. “We are building a potent statewide political tool that will help us recruit good candidates to run for local office – school board, city council and county seats – as well as legislative candidates we will encourage to run in primaries where our organizational muscle will help them oust vulnerable incumbents in the June elections. We will especially present a second party alternative where incumbent Democrats and Republicans at the county and legislative levels are re-elected term after term without ever facing a viable opponent, if any at all. “One key objective is to expose the Polk County Politica Cartel. While certain compromised media has shielded Iowans from truths like Terry Branstad’s biggest contributor is his opponent’s business partner, we will make Iowans aware of these facts and others such as the disproportionate representation Polk County residents have on our state’s boards and commissions. For example, a majority of the members on the State Utility Board and the Iowa Public Broadcasting Board are from Polk County. And, four of the nine members who sit on the Iowa Court of Appeals hail from Polk County. “The greatest contribution, however, our campaign will make is to offer solutions. The Branstad Era has witnessed Iowa’s academic decline, the rise of poverty, the plumeting of real wages, the ascent of crime, addiction, gambling and the stagnation of our growth evidenced by the loss of two congressional seats (1993 & 2013) at a time when state’s like Utah are gaining seats in the U.S. House. In addition to these major policy events the Campaign will hold “An Iowa Worth Fighting For” presentations in Ames, Ankeny, Atlantic, Bettendorf, Burlington, Carroll, Cedar Falls, Clinton, Fort Dodge, Fort Madison, Indianola, Iowa Falls, Marion, Marshalltown, Mason City, Mt. Pleasant, Muscatine, Newton, Oskaloosa, Ottumwa, Pella, Spencer, Storm Lake, Urbandale, and Waukee. At these presentations Narcisse will summarize his vision for Iowa including key solutions from each of these major policy presentations.